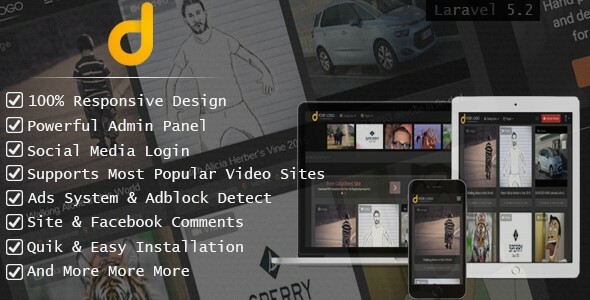 Darky v1.2.1 - Viral Media Sharing Script - CODELISTPRO | Free Premium Scripts, Plugins, Apps Source Code. Darky is a PHP script based on latest version of Laravel Framework (5.2). Users can upload videos from their devices or submit from the most popular sites like: Youtube, Vimeo, Dailymotion, Metacafe and Vine. Also they can upload pictures.